Seventh installment of cinema's biggest blockbuster franchise. Lucas's original films are still relevant because they were and are about something. Their themes are universal and timeless. Abrams' film is about nothing but Star Wars itself. Lucas's films told us everything about his philosophy of life. Abrams' film only tells us he's a geek. When director Nicholas Meyer was entrusted with the Star Trek movie franchise for The Wrath of Khan, he found himself in a curious position. The first movie, The Motion Picture, had bored the pants off fans and general audiences alike with a vision governed by the show's creator, Gene Roddenberry. For the sequel, Roddenberry was out of the picture, leaving Meyer with the decisions of where to take the property. Meyer's answer was to deliver a movie that satisfied the series' fans through its focus on character, while making it accessible to a mainstream audience. The resulting film is now considered by most as the best of the Trek movies. In taking over Star Wars from George Lucas, JJ Abrams finds himself in a similar position to Meyer, and he's taken a similar approach, bringing back beloved characters and delivering the sort of superhero movie style action modern audiences go wild for. For his reboot of Star Trek, Abrams was accused of saying "to hell with the fans" with a movie that resembled Roddenberry's creation in character names alone, but it's quite the opposite here. If anything, Abrams is saying "to hell with mainstream audiences", pandering to "fans" with a movie packed full of postmodern gags and nods to the original trilogy. A mocking mention of clones is the only reference to Lucas's much derided prequel trilogy I picked up on, though of course I may have missed others more rabid fans will have pounced on. Can Star Wars really exist without George Lucas, for better or worse, or is it now simply expensive fan fiction? Well, yes and no. Fan fiction has always been as much a part of the Star Wars phenomenon as the movies themselves, arguably more so. If you're of my generation, you'll likely have immersed yourself in Lucas's world before actually seeing the films. As a child, I had been playing with Star Wars action figures for several years before I eventually got to see any of the movies, creating my own fan fiction if you will. I had read the various comics, officially sanctioned fan fiction. Even the knockoff bed-clothes I slept in indulged in their own form of fan fiction by recreating scenes that I would later discover came not from the mind of George Lucas, but some enterprising Chinese garment designer. It wasn't until I was nine years old that I would finally experience Lucas's original trilogy in its entirety, and by then I had consumed a childhood's worth of fan fiction. 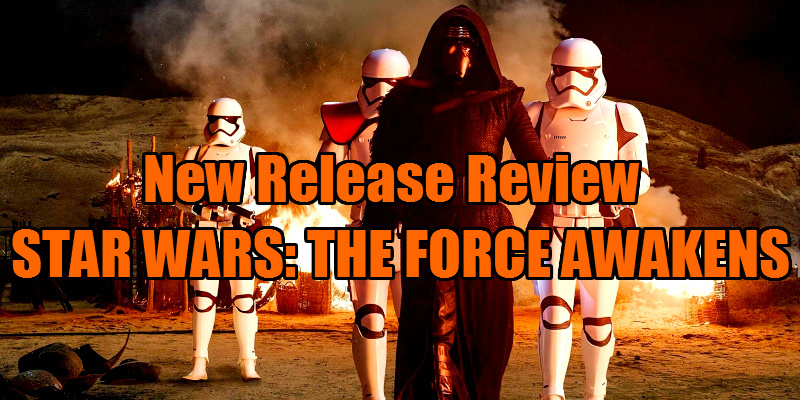 To the detriment of the film, The Force Awakens is all fan and not enough fiction. It begins very promisingly, with an opening act as good as anything I've seen in 2015. The opening crawl informs us of the rise of The First Order, a militaristic group intent on reviving the Empire. For some reason never really developed, Luke Skywalker is the key to halting their progress, and so The Resistance dispatch their finest pilot, Poe Dameron (a magnetic Oscar Isaac), to track him down. I never quite understood why they call themselves The Resistance. Aren't these guys running the galaxy now? Surely The First Order are the resistance in this story? And if they do run the galaxy, why are they sending a lone pilot on such an important mission? Plot-holes and inconsistencies like this are plentiful, but they didn't trouble me, so I'm not going to waste time picking the film apart on such a petty level. This is after all, a space adventure, and in its first act it's a damn good one. On a desert planet that's pretty much Tattooine in all but name, we meet Rey (Daisy Ridley, newcomer and instant star), scavenging the ruins of fallen Star Destroyers and At-Ats to make a living, in a perfect metaphor for what Disney are doing with the franchise here. 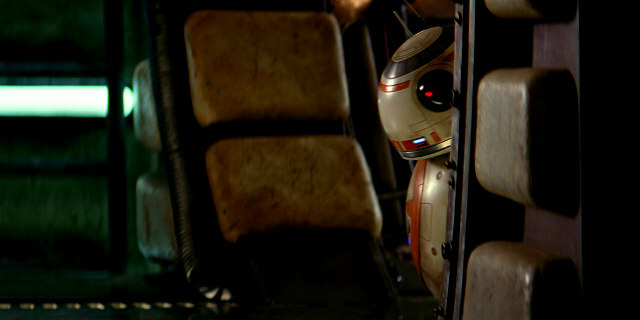 She comes across BB-8 (named to cash-in on the number 888, considered lucky in China) , a droid carrying a crucial piece of information. Meanwhile, Finn (John Boyega), is a stormtrooper who discovers military life isn't for him during the massacre of a village. In a stunningly inventive piece of economical visual storytelling, his helmet is stained by the bloody fingers of a fallen comrade, allowing us to identify him among a crowd of helmeted stormtroopers. Escaping the Death Star, he finds himself hooking up with Rey and BB-8, and the three have a genuinely charming and funny dynamic together. Boyega plays Finn with brilliant comic timing, and reminded me of Woody Allen's cowardly soldier in Love and Death, flirting with Rey while attempting to save his skin. 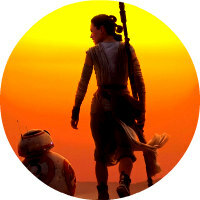 Everything's looking good for the future of Star Wars until the film's second act reintroduces classic characters from the original trilogy and descends into post-modern self congratulatory smarminess, Abrams missing no opportunity to shoe-horn in a gag relating back to the beloved series of his childhood. Lucas's original films are still relevant because they were and are about something. Their themes are universal and timeless. 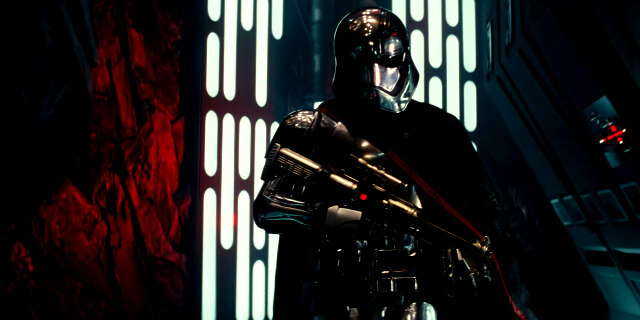 Abrams' film is about nothing but Star Wars itself. Lucas's films told us everything about his philosophy of life. Abrams' film only tells us he's a geek, more interested in fleeting in-jokes and callbacks than in creating anything with lasting impact. A day after viewing, I can't recall one post first act line of dialogue, and none of the set-pieces are remotely memorable. In terms of action, this film has nothing to match the Death Star assaults of Star Wars and Return of the Jedi, the latter's speeder bike chase, or Empire Strikes Back's attack on Hoth. 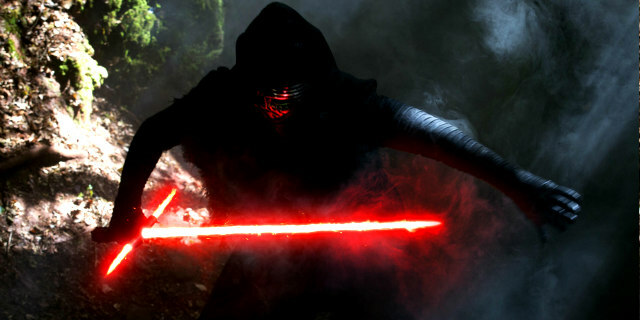 Apart from its new human characters, The Force Awakens fails to create a legacy. Its worlds just look like planets we've seen before. Save for the forgettable Maz Kanata (Lupita Nyong'o), we're spared any memorable new aliens, nothing to rival Chewie, Yoda or Jabba. The villains, The First Order, are about as threatening as a Civil War reenactment group, and Domhnall Gleeson is a poor substitute for Peter Cushing. Perhaps the biggest flaw of the film is its lack of stakes. There are huge developments in the plot, but none of them carry any weight. As with Jurassic World, the film adopts the 'bigger is better' mentality, with a new Death Star that we're told dwarfs the original, but this scale is never conveyed in any tangible fashion. An apocalyptic act is carried out midway, but mere minutes later X-Wing pilots are hooping and hollering, having a whale of a time. If they don't care, why should we? Hopefully, Abrams has gotten the fan service out of his system and the franchise can now move on. The new characters are more than strong enough to carry this saga forward, and if ever there were a blockbuster financially stable enough to allow risk taking, it's this one. The best way to appease fans? 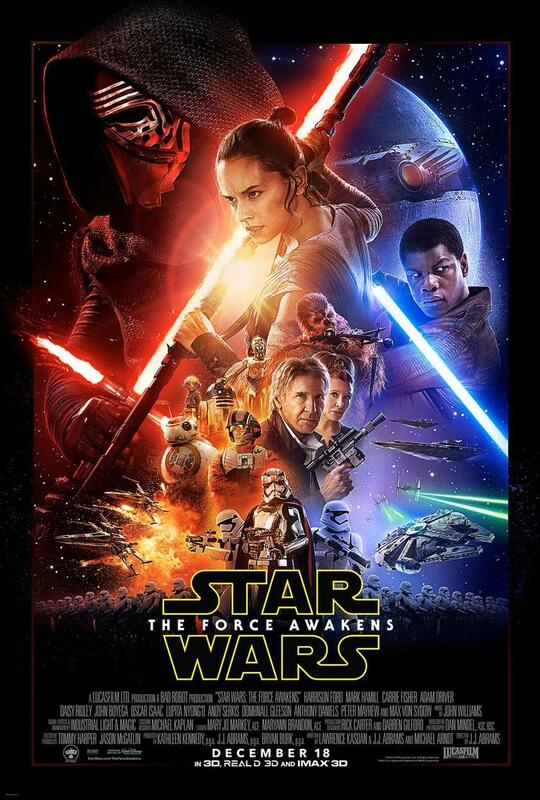 Deliver an engaging story, something The Force Awakens fails to do, and frankly doesn't seem all that interested in.